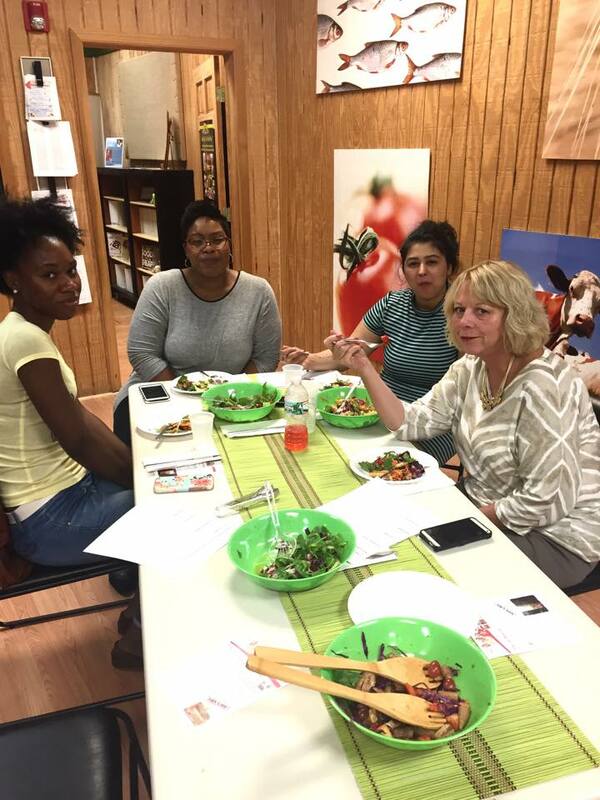 Last night we hosted an event called ‘Nutrition on the Run: Mason jar salads’. In just an hour, we demonstrated how to prepare and assemble 4 beautiful and healthy salads that will last in the fridge for up to a week! It was great to spend some time with our clients and friends, sharing new tips and information and also helping them connect and support each other. 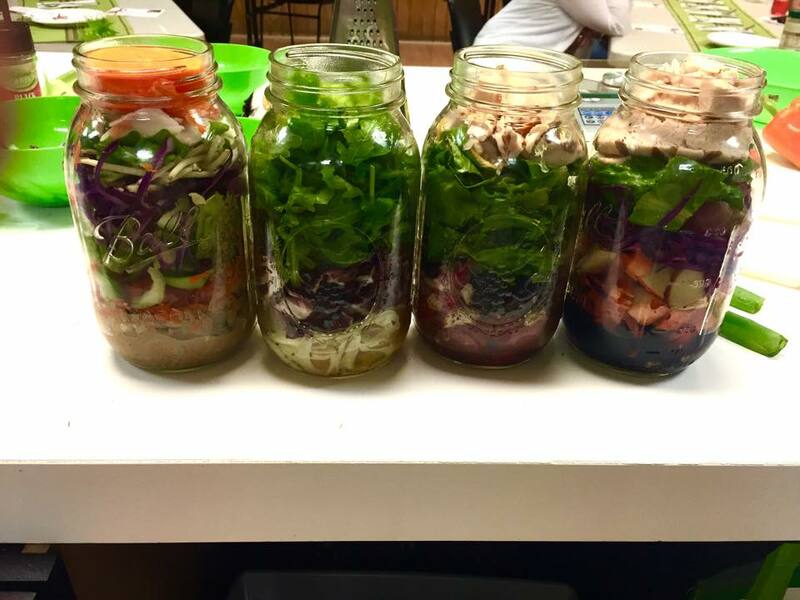 Our Mason jar salads! Perfectly combined to fit each loser’s diet. Each jar fulfills the macronutrients for one lunch, so making them all at once will save time, money, and keep your diet on track! 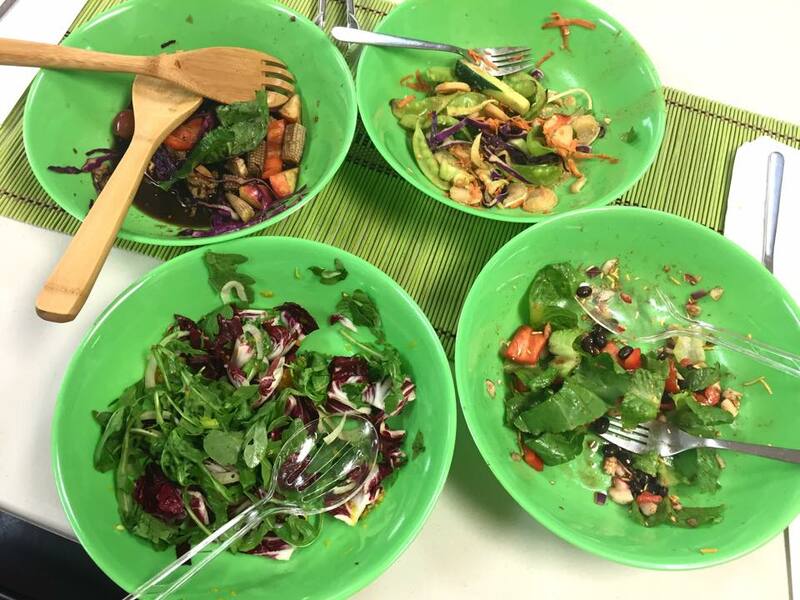 From left to right: asian inspired salad with persimmons, Scicilian fennel and arugula salad, Southwestern salad, and the Autumn salad with added fruits! Some of our awesome Losers & friends! It was so great having everyone together to interact and give support and motivation. In this picture we have some of our newest clients as well as our first client! 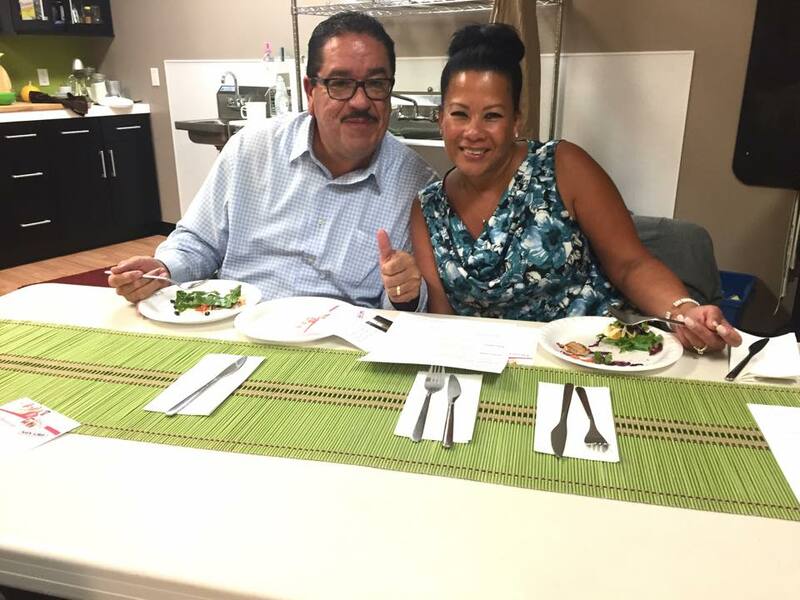 Louis & Minerva, the perfect example of a successful weight loss team! Both of these guys have been reducing their medications, making better dietary choices, and also visiting the tailor to take in their clothes! Our delicious salads, each one is a complete serving for lunch! Filling up on the good stuff will help you lose weight and feel amazing!